This website design for D10 Industries was done in Adobe Muse, which was quite fun and flexible. I designed D10 Industries’ logo, as well. 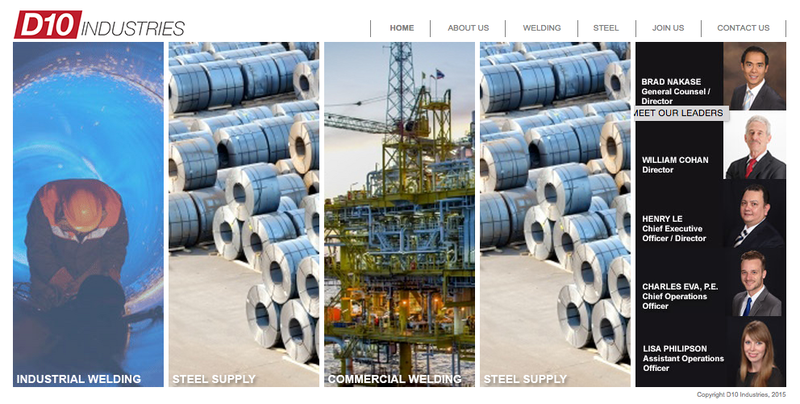 The D10 website has since been taken down at the client’s request as they are now HL Welding, Inc., which I’ve just designed, as well.